Semarchy was pleased to return as a sponsor of this event. VP & General Manager Richard Branch chaired Day 1 of the conference and shared some tips for choosing a vendor. VP & General Manager Semarchy Ltd. Responsible for the development of Semarchy’s business in the UK and Nordic countries, Richard Branch has extensive experience of the MDM market. 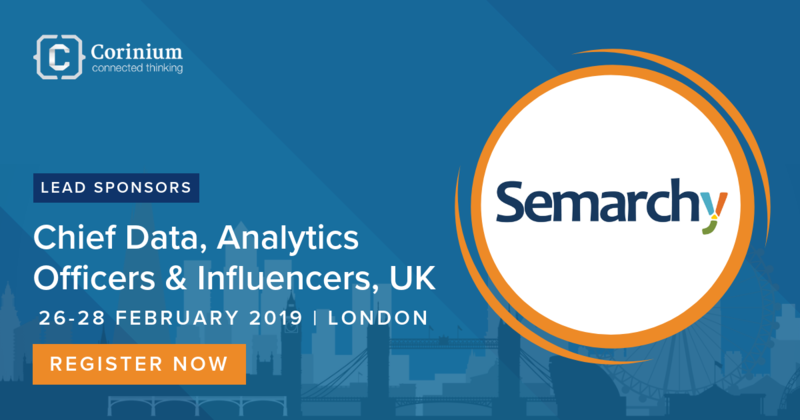 The Chief Data, Analytics Officers & Influencers (CDAOI) UK event is well worth the investment of your time and resources. Built on research with local Data & Analytics leaders, it also leverages a global CDO and CAO community bringing content and speakers from international thought-leaders who have walked the path of analytics development. Once can expect inspiring ideas, new connections among the 150 senior executives in attendance, as well as innovative tech showcased in real case studies. © 2019 Semarchy. All rights reserved.